Behold! Here are even more shops that feature high quality, artisan-made paper delights for the holidays and all year round. Visit the Holiday Gift Guide - Part 1 to double your fun. 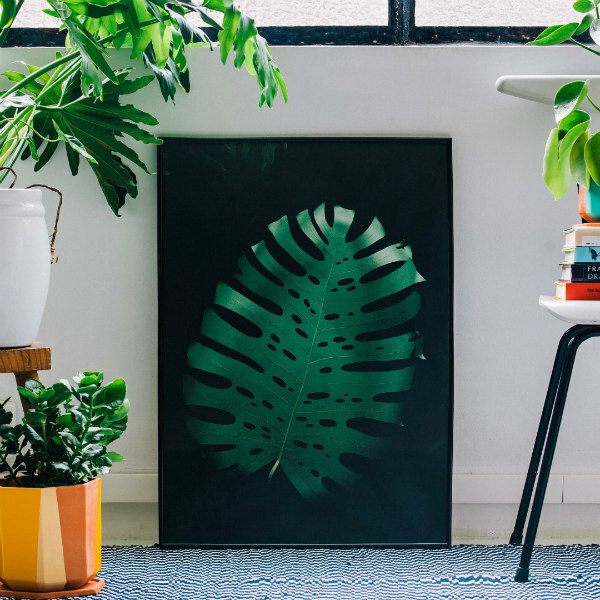 Raya Sader Bujana of Little Ray of Sunflower and Raya Studio in Barcelona offers giclée art prints of original hand cut paper sculptures. 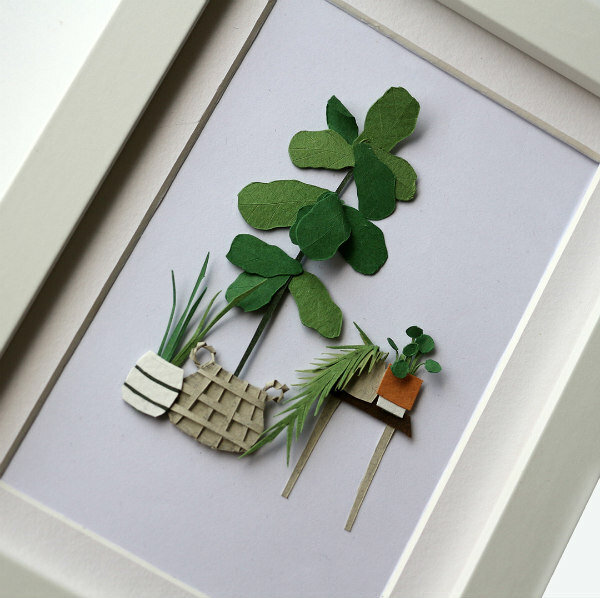 On November 9th at 4pm (Spain time) she will be updating the shop with her popular Tiny Succulent Terrariums and a New Limited Collection of Paper Jewelry. 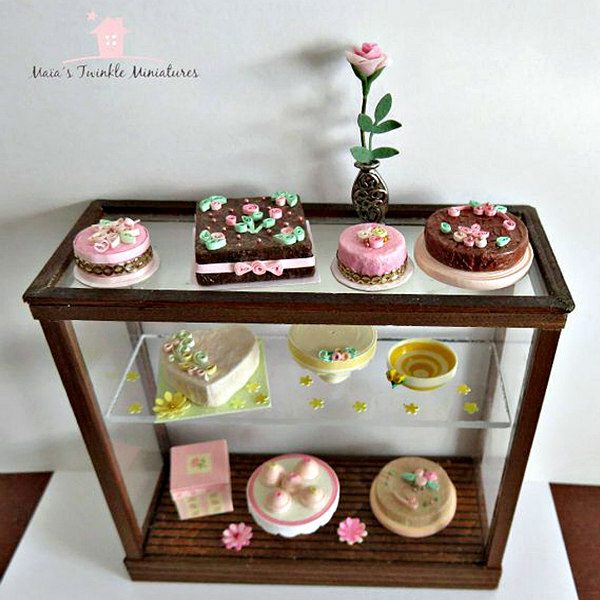 Maïa Bisson of Maïa's Twinkle Miniatures creates unique handmade miniature items and accessories. 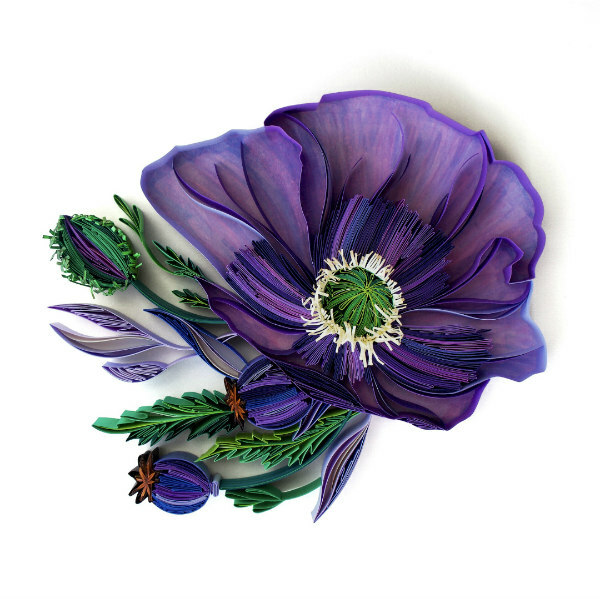 She loves the detail that can be achieved with the technique of very tiny quilling, and is inspired by the challenge of creating almost exclusively with paper. Renata Mayumi's Etsy shop, Mayumi Origami, is a delight of colorful origami paper jewelry. 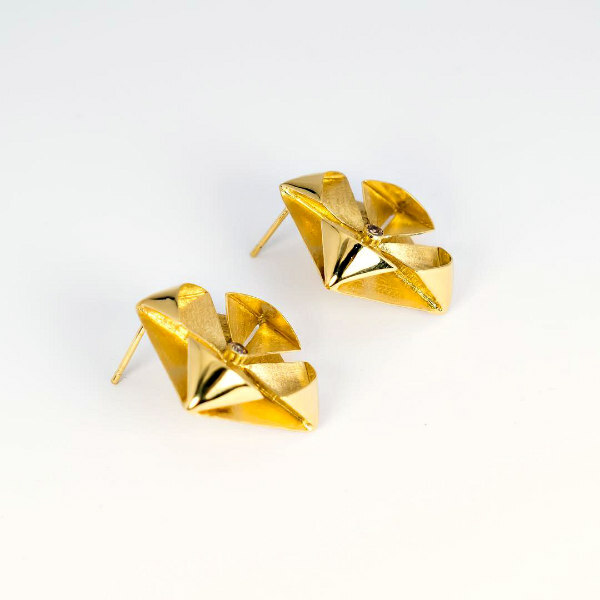 Although admittedly not paper, Renata folds these origami-inspired, golden Kyoto Earrings using the thinnest sheet metal available and places a zirconia in the center. Contact her directly via the shop or Instagram to place an order. Meltem R Şimşek is an architect in İstanbul, Turkey who designs and hand cuts Plants & Patterns themed paper art for her new project Melmer Artworks. The decorative pieces complement stylish and botanical interiors. 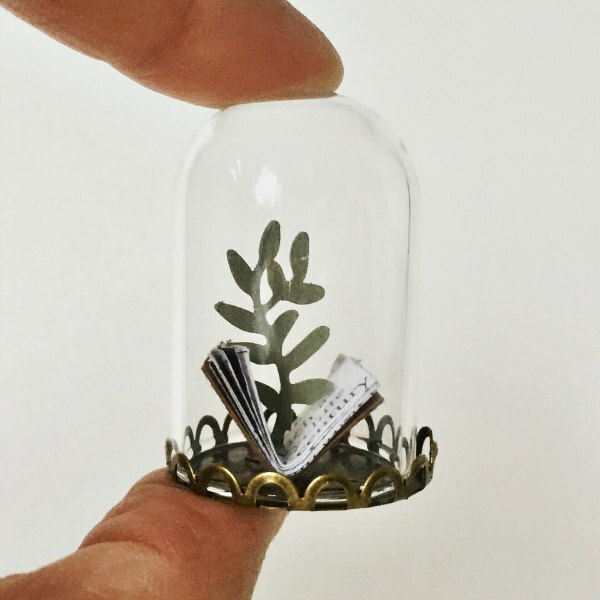 Silvina De Vita of Esty shop My Papercut Forest creates magical, miniature paper scenes in glass domes that can be personalized and/or modified to be worn as necklaces. See more of Silvina's varied paper art on her website, Silvina Devita. 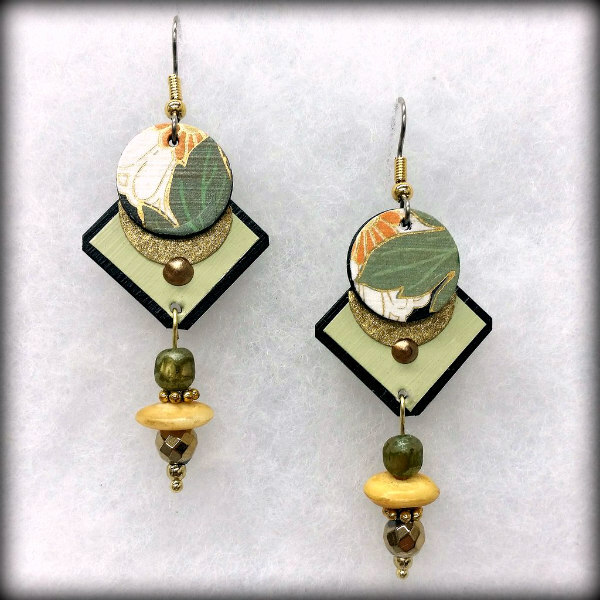 Nancy Yoshii is a fine craft artist working with mixed media and recycled materials to design and create unique paper earrings, handmade greeting cards, and collages. Every pair has a story! Contact her at Nancy Yoshii Studios for more information. Amrita and Nimisha, sisters and owners of Etsy shop Navanka Creations, offer paper quilling ornaments, wall art, and premium cards. All are original designs that are unique, thoughtful, and handcrafted with lots of love. Custom orders are welcome. PAPEL (PAPER), origami by a little boy and his mamá, is about taking his love of paper and folding to craft something new - something spectacular… something that sparks wonder and amazement. We make two sublime things, Paper Wearables, paper that you can wear and Grande Folds (installations) for private and corporate events. For over 25 years, Paper Connection International, LLC has been the artists' source for specialty papers and stationery goods, as owner and founder Lauren Pearlman Sugita sources the highest quality paper goods directly from treasured artisan papermakers. 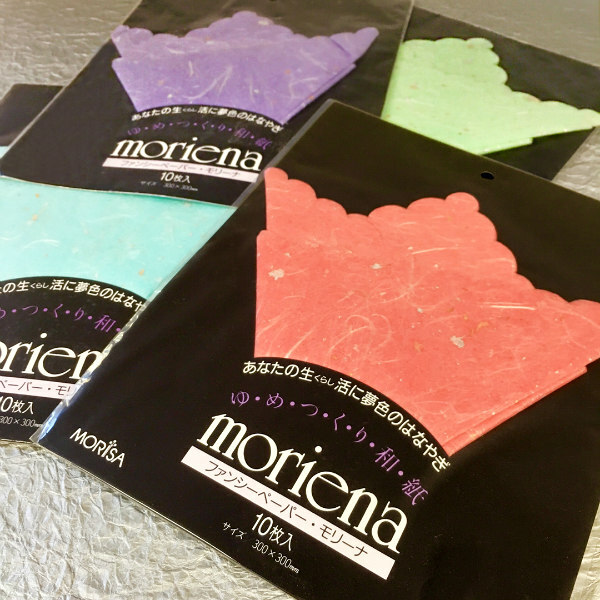 Just one example, these Unryu scalloped square lace papers (available with and without metallic flecks) are the perfect addition to a holiday place setting, for wrapping special little gifts, or for crafting. Ashley Chiang of PaperLiberated uses unconventional paper quilling techniques to mold, curl, and coil thin strips of card stock paper. She glues each strip on edge, balancing light and shadows, to create intricate but bold displays of quilled paper. Paper monograms gifts, retro radios, and more are available for holiday gifting in her shop. Linda Thalmann's PaperPhine stocks paper yarns, paper twines, and paper raffia. 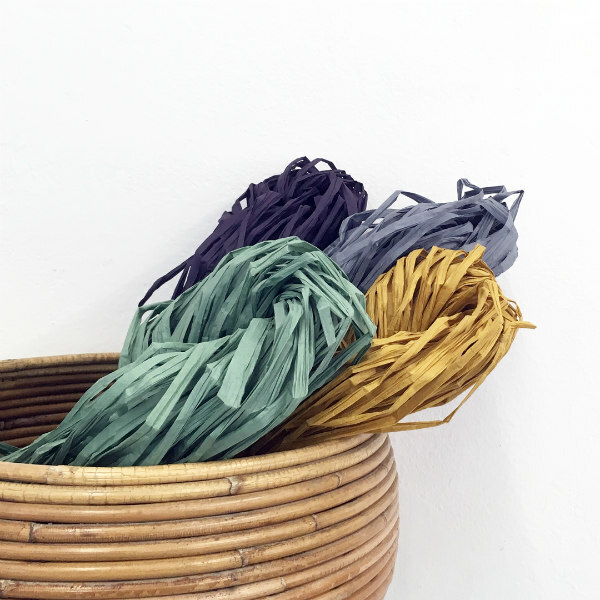 Based in the heart of the beautiful city of Vienna, Austria, the shop's goal is to provide inspiring, eco-friendly supplies in a wide range of colors to its customers worldwide. 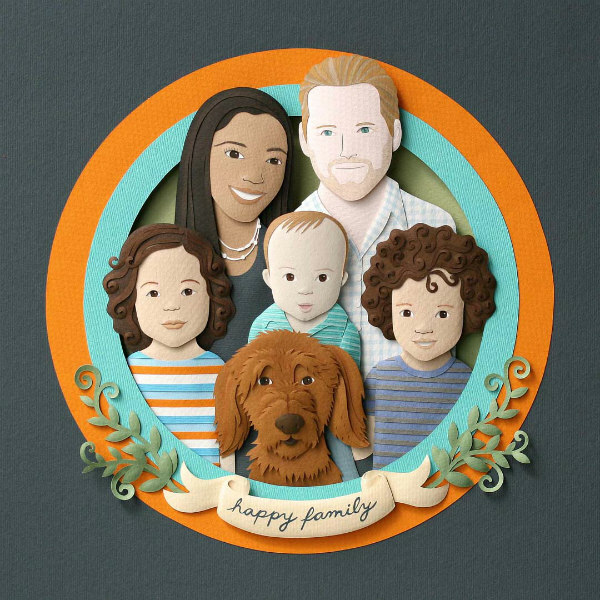 PaperStory is an online UK-based art store run by husband and wife team, Angela and Chris, that supplies paper for paper cutting art. Angela is an artist and exhibits her finely detailed papercuts in galleries, gift stores, and museums. "Choosing the best paper for a project is essential and that is how PaperStory came about. We pride ourselves in excellent customer service and have superb reviews, as well as a very active Facebook paper cutter support group for beginners to experts." 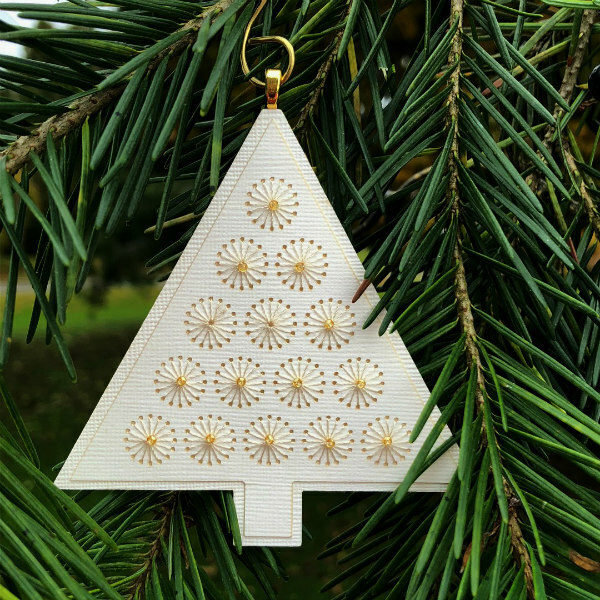 In Cecelia Louie's Etsy shop, Paper Zen, you'll find serenity in quilling patterns, SVG die cutting, and hand cut printables. 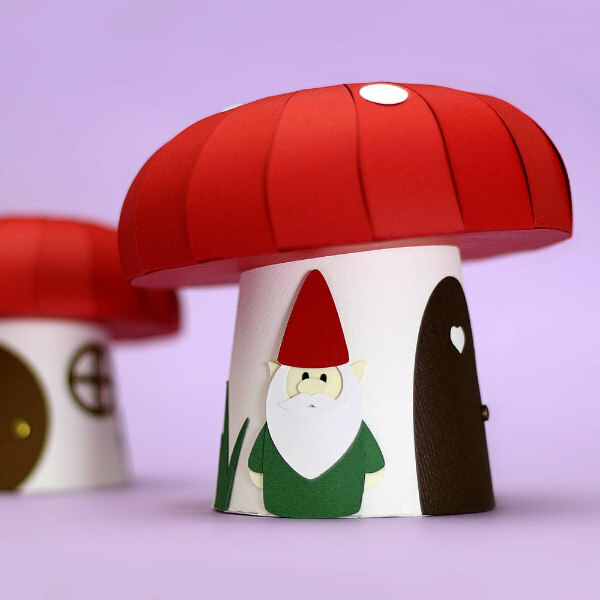 Use your cutting machine to make this adorable 3D mushroom cottage with a lift-off top... it holds a small gift or party favor. 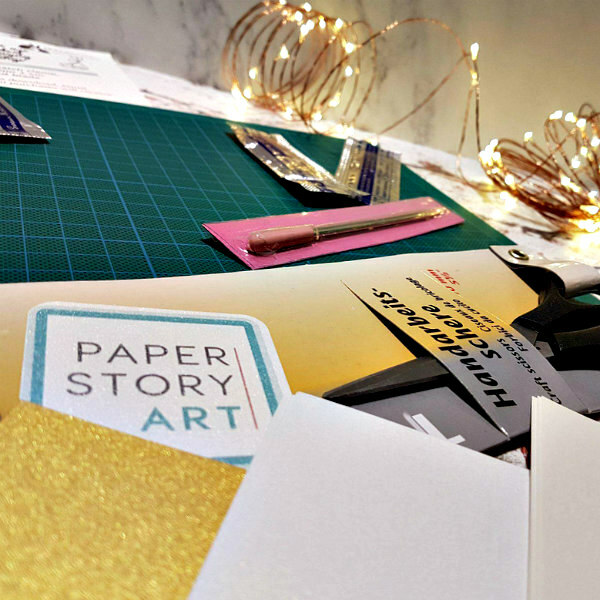 Follow along via Cecelia's video tutorials to learn helpful paper crafting techniques. 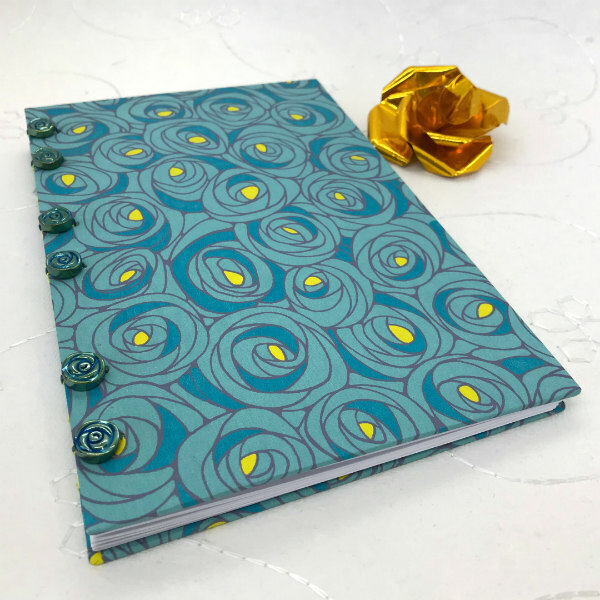 For fans of journaling and sketching, Melissa Schnaible features a variety of hand bound books in her Etsy shop, Pendant Paper. This small Mackintosh-inspired beauty is hand stitched in the Coptic method with waxed linen thread, and can be used as an address or guest book. 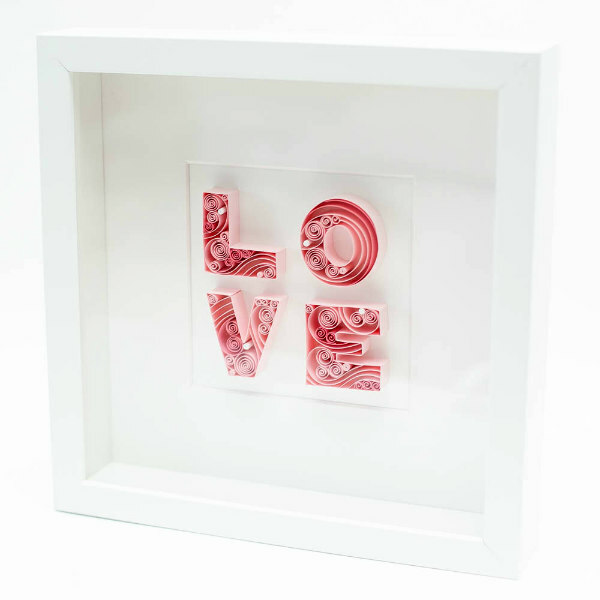 Melissa creates quilled monograms and wall art too. Purple Paper People features lovely custom paper portraits by artist Patricia Lima that are unique gifts for families, couples, or pet lovers. The production of the portraits is based on photos provided by the customers, who are able to give feedback on every step of the process to make sure all details look as they imagine. 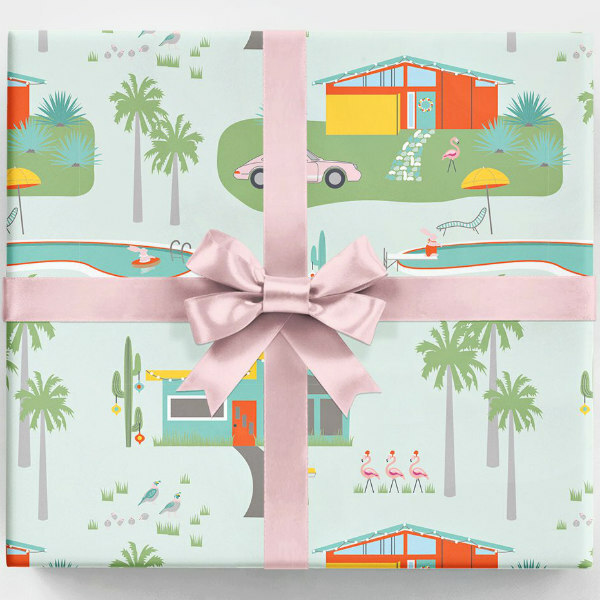 Melissa Bilyeu's Revel & Co. sells American-made gift wrap in oh-so-cute themes like Palm Springs, woodland creatures, snow skiing, fish camp, and Scandinavian holiday along with coordinated cards and party goods that are designed to delight. Did you spot the tiny Santa hats on the flamingos and the ornaments on the cacti?! RevelAndCo is also on Etsy. A lifelong love of playing with paper led Annamae Miller of Ruby & Cosette to make paper florals for friends and then to open a shop. 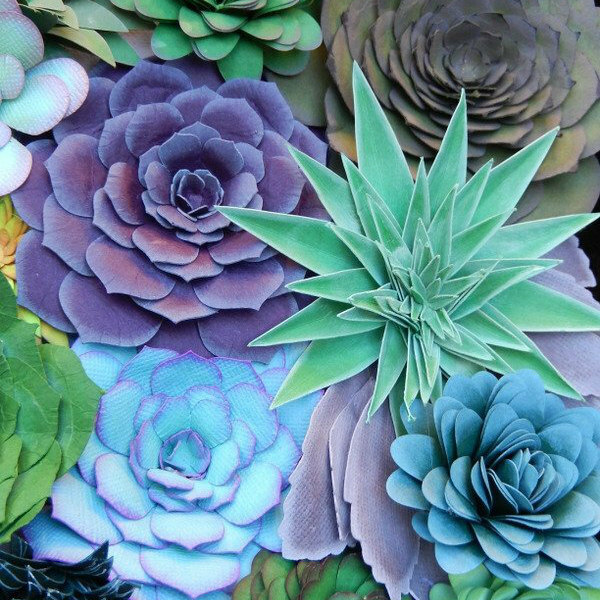 (These succulents astonish me - so real!) "The focus is original floral designs made with card stock. Custom orders with buyer input are rewarding and keep it fun with a desire to achieve their vision." Sena Runa creates colorful quilled paper artworks. She likes using different colors, and especially new shapes, in ways that haven't been done before. 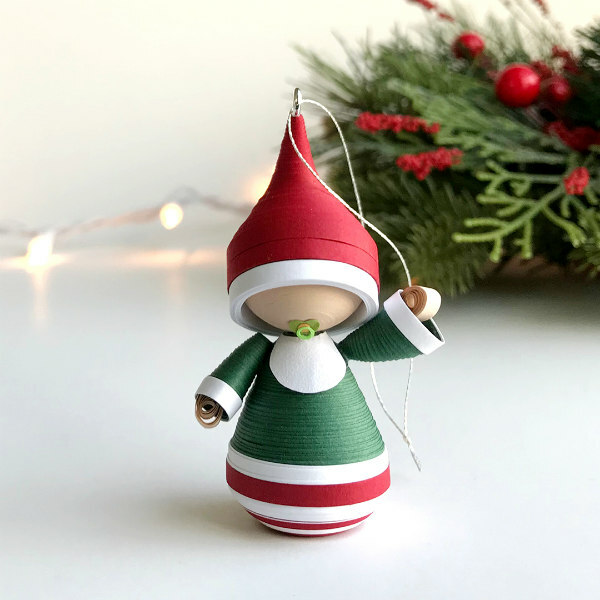 Tracy Belair Gaito of Etsy shop runnerbean creates delightful handmade paper art by using the techniques of paper quilling: custom figurines for birthdays and gifts, ornaments, personalized wedding keepsakes and cake toppers, and colorful, lightweight jewelry. Baby’s First Christmas holiday ornament is pictured. Stefani Tadio of Stefani Tadio Paper Art hand stitches original designs on card stock to make wall art, jewelry, and ornaments. The stitching holes are laser cut for precise accuracy. Stefani uses colorful threads and sometimes embellishes her work with tiny beads and crystals. Watch for a new line of DIY kits. 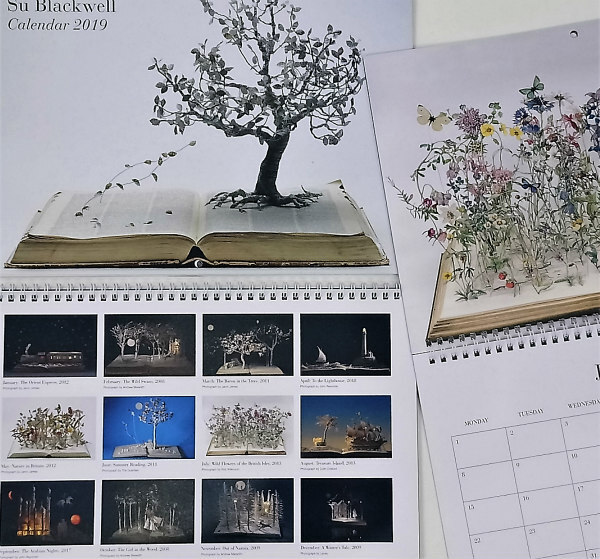 Altered book artist Su Blackwell sells children's books, theatre books, laser cut greeting cards, prints - and new for 2019 - a calendar featuring twelve of her most popular artworks in her online shop, SuBlackwell.co.uk. Vicki Smith of Vicki Smith Art is an illustrator and fine artist who draws inspiration from the simple beauty of daily life and the splendor of nature. Pastels are her favorite medium to convey luscious colors and texture. 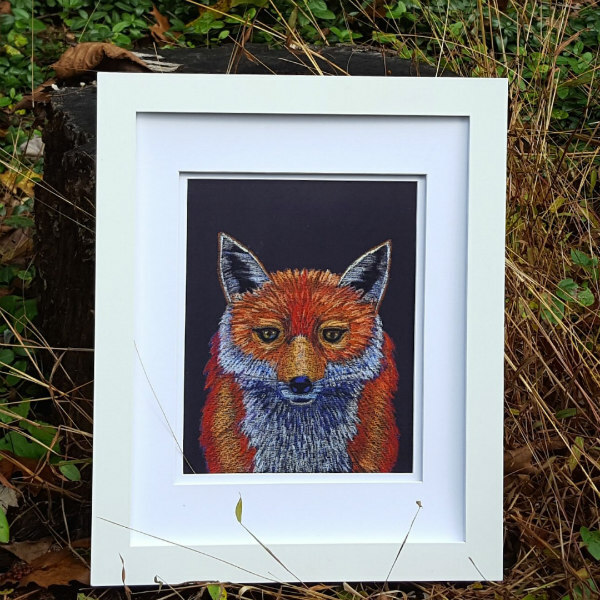 Her original art is done the old fashioned way, at an easel with tinted papers, but modern technology comes into play when the work is printed as animal masks, prints, and Christmas cards. 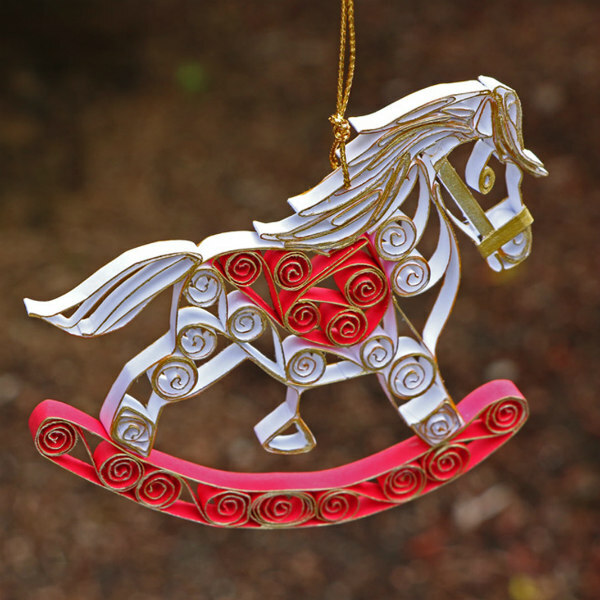 Don't miss Holiday Gift Guide - Part 1 where you'll find twenty more paper shops. All Things Paper is an Etsy and Ecogami affiliate. I really enjoy your collection from all over the places, I do believe in the magic with paper. Thank you so much for enriching our life by sharing the art of paper. Thanks very much, Edna! I enjoyed compiling the Guide.